Put your pens down! 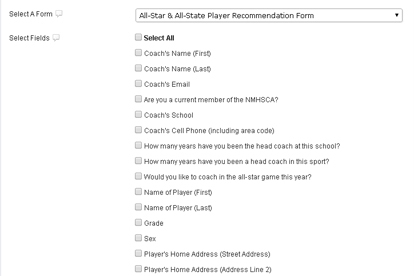 Streamline your form process…making it easier for everyone involved- administrators, parents, athletes, teachers and more. 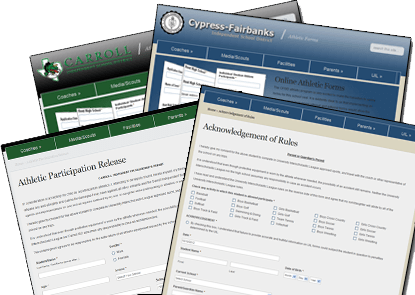 Do you have a lengthy form? No problem. We can break up your form into multiple pages and even show a progress bar that let’s your user know where they are in the process. Collect PDF and word files, photos, receipts and more right from your form. 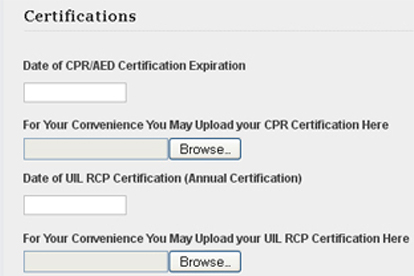 Our system stores all form entries in your platform and makes them easily accessible via your administrative panel. Choose the entry data you would like to export by selecting the field, configuring a date range and then exporting the data to a CSV file. View all information from any computer or smart phone via your password-protected administrative panel. 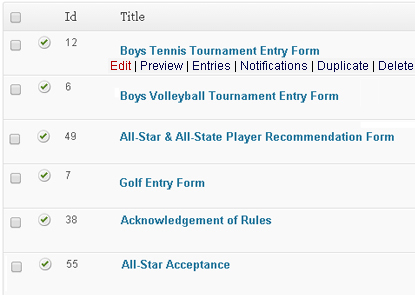 View each entry in detail and see the information submitted by your users. 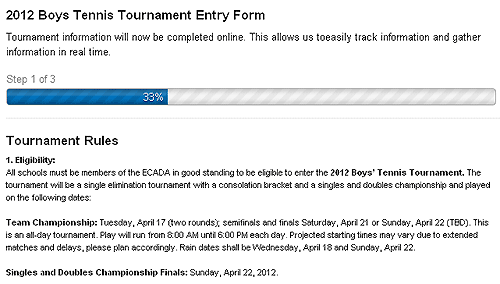 Automatically turn entries into PDF documents and email them to your chosen recipients upon submission. Administrators have the ability to view PDF document via email or within the administrative section of the website.